Wow, really‽ Who knew‽ | Wherever you go, there you are. ← Don’t go where I’ve been! Miss Mann was a stickler for every dash, period, comma, bracket, dangling participle and misplaced adverb. She hated run-on sentences, misuses of tense, wordiness, excessive use of exclamation points, prepositions at sentence-end, and misplaced quotation marks. “One exclamation point or question mark is quite enough, class,” she’d say through clenched teeth, her trademark glare pronounced. “In formal writing we never use more than one mark.” Her shoulders arched toward her ears like tectonic plates and her shudder could have been the first rumblings of an earthquake. She viewed multiples of exclamation points and question marks, or worst of all, a question mark and an exclamation point together, as only slightly less awful than sticking an apostrophe in i-t-s — it’s — in a misguided attempt to show possessive. 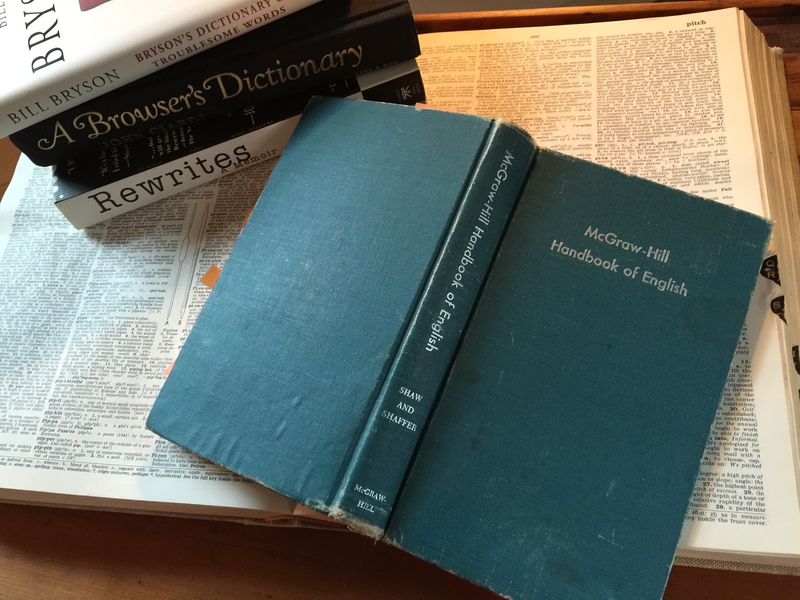 When she recommended that we college-bound seniors buy our textbook, McGraw-Hill Handbook of English, we did . Mine is beside me right now. It went to college with me and to all the desks I worked at over the years. I’ve been retired long since, but my tattered textbook is still on the job. 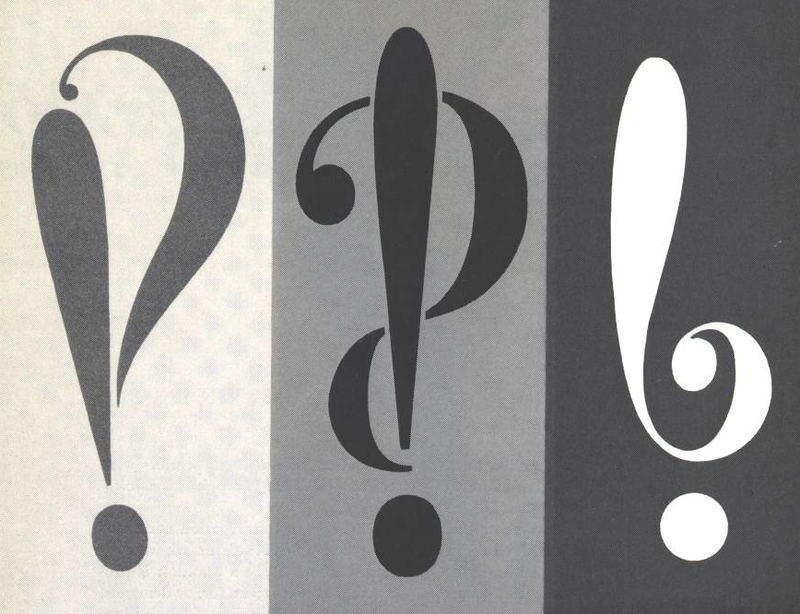 Five years after the class of ’57 graduated and ten years before Miss Mann’s passing, advertising executive Martin Speckter invented a new punctuation mark — the interrabang. It has a lot of different looks depending on the typeface it is associated with …ahem…with which it is associated. 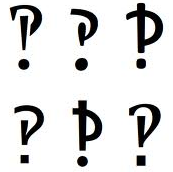 The interrabang (also interobang) is the brilliant, blended marriage of exclamation point and question mark. Had I known such a thing existed I could have used an interrabang many times, despite what Miss Mann might holler from her grave. To this day, we don’t know exactly what Columbus had in mind when he shouted ‘Land, ho.’ Most historians insist…he cried, ‘Land, ho!’ but…others…claim it was really ‘Land ho?’ Chances are [Columbus] was both excited and doubtful, but…at that time [there was no punctuation to] … combine and meld interrogation with exclamation. Art director Jack Lipton did a set of speculative designs, below, for his boss. Speckter called the offspring exclamaquests or interrobangs. And, if you’re a WordPress blogger, type & # 8 2 5 3 ; (no spaces) and, voila, an interrabang for your post. Was she still teaching when you were a senior? Good teacher, but scary tactcs. They were great teachers, despite their foibles. I think we remember because we liked the subject. Now, algebra! I forgot that as soon as I walked out the door. Sometime I’ll tell you about that teacher!